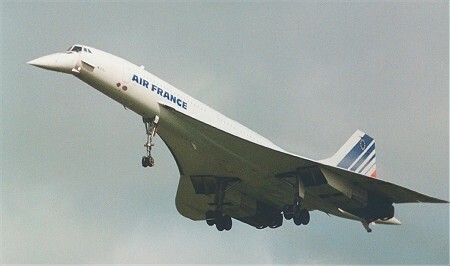 It seems that in the early days of testing the new Concorde airliner, the engineers ran into a problem. Every time the plane was put into a dive, the wings would break off. This was disconcerting for the test pilots, who were becoming fed up with the repeated need to bail out, and the engineers were frantic in their efforts to find a solution. Money was running short and still the wings refused to remain attached to the plane. In desperation, the engineers put a suggestion box on the shop floor and tried all the responses they received but none worked. Finally, at the eleventh hour, they were down to the last suggestion, one so ludicrous it had been dismissed without a thought. It made no sense at all. The idea was to drill two-inch diameter holes along the complete length of the wing roots. Surely this must weaken the structure, thought the engineers; but desperation makes fools of us all and they decided to give it a try. The holes were drilled and the plane tested. To everyone’s amazement, it worked. The plane was soon swooping around the skies, doing barrel rolls, vertical dives, anything that was asked of it. So impressed were the engineers by this that they started a search for the genius who had suggested the cure. It turned out to have come from Albert, the plant’s lavatory cleaner. He was called up to the design office and congratulated. "Well, sor, I been lavatory cleaner at this 'ere plant for nigh on thorty-foive year now. And I tell ee, in orl that toime, I done noticed that toilet paper never do tear along the dotted loine..."
I'm sorry. I'll shut up now. don't ever shut up. but i think i can put some perspective on the briatore fright. i had much the same reaction when i saw it. i swear you already said this on f1-pitlane? You're absolutely right, Sidey - sorry about that. I suppose it is only justice on me for digging around in the archives for something repeatable. I had completely forgotten about using the story on F1-Pitlane.